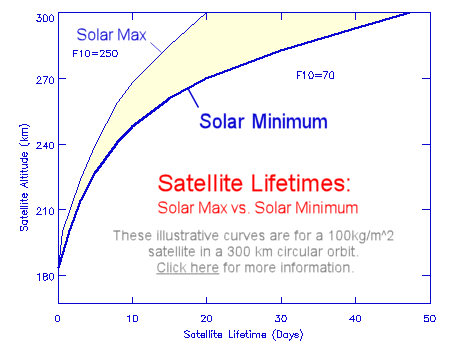 During solar minimum–happening now!–Earth’s upper atmosphere cools and contracts, sharply reducing aerodynamic drag that causes satellites to decay. Indeed, in 2019 the temperature of the thermosphere is close to a Space Age record low. This could double or triple the time required for fragments of the shattered satellite to sink into the atmosphere and disintegrate. Small fragments in high orbits may remain aloft for years, circling the planet like tiny bullets traveling 17,000 mph. This event brings to mind a Chinese ASAT test in 2007, which also occurred near solar minimum and created a significant debris field of more than 35,000 pieces. That test occured at an altitude of 865 km, with particles ultimately spreading between 200 km and 4000 km. At least one Russian satellite was unintentionally damaged by the debris. India’s test at 300 km altitude has created an upward spray of debris that could threaten the International Space Station only 100 km overhead, according to statements made by NASA Administrator Jim Bridenstine during an April 1st town hall meeting in Washington DC. “That is a terrible, terrible thing, to create an event that sends debris in an apogee that goes above the International Space Station,” he told NASA employees. Officials say there are 60 trackable fragments of Microsat-R measuring 10 cm across or larger. Of that total, 24 ended up in orbits with high points, or apogees, above the 400 km altitude of the ISS. Low solar activity, which could last for years as the solar cycle ponderously swings through its minimum phase, will help keep these fragments aloft, prolonging their threat to other satellites. ← Can Humans Sense Magnetic Storms?